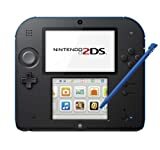 Nintendo is going bundle-crazy for this Holiday season, and this morning they even let the Nintendo 2DS get in on the action. Starting later this week on December 6th, Toys”R”Us and Target will each carry an exclusive Pokémon X or Pokémon Y Nintendo 2DS bundle for $149.99. Target will be selling an exclusive red bundle with Pokémon X pre-installed, and TRU will be offering a blue 2DS bundle with Pokémon Y pre-loaded on an SD card. We have no clue of why one version is on an SD card, but there must be a good reason. Toys“R”Us will offer an exclusive Pokémon Y bundle at stores nationwide and online at http://www.toysrus.com. The bundle will include a blue Nintendo 2DS system and the Pokémon Y game pre-loaded on an SD card at a suggested retail price of $149.99.